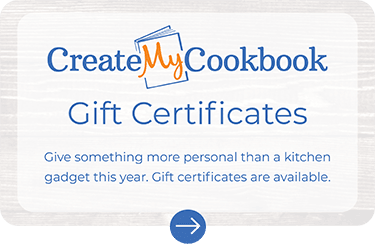 CreateMyCookbook is sure you are going to enjoy your custom book. If there are any defects in workmanship, printing errors, or if your book arrives damaged, we are happy to replace your book or refund your money. Simply contact us within 21 days from the ship date of your book. CreateMyCookbook does not extend the refunds or exchanges on books that had errors in your design. This includes things like typographical errors, blurry pictures due to low resolution, page order, binding styles, and other design choices you have made with your book. We encourage you to thoroughly preview your book before placing your order and to not change your book until you receive a confirmation that your order has shipped. Please understand that each book is custom made by a team of expert book printing and binding partners when you place the order. Therefore we do not offer refunds or exchanges due to errors in order quantity, and except for the cases noted above, we cannot cancel orders, accept returns or provide exchanges or refunds.